Saturated with images of what we’re supposed to do and what an ideal couple is like, we sometimes have trouble seeing past the cliches that have become associated with Valentine’s Day. While roses and champagne aren’t every couple’s style, romance in one form or another is still powerful. A romantic gesture can be a reminder for both you and your partner of how much you value their presence in your life. Ultimately, a happy relationship is worth getting excited about. What romance looks like will vary depending on the people in the relationship, and that in and of itself is special. Spontaneity isn’t the only way to be romantic. Plan ahead! If you want to do something out of the ordinary, make sure you give yourself time to figure out the logistics. Scrambling at the last minute could mean you miss out on tickets or reservations, and thinking about what you might like to do ahead of time could lead to more creative ideas. Your plans don’t always have to be a surprise. While we’ve established that well-timed romantic gestures are awesome, Valentine’s Day plans can be collaborative too (and just as thoughtful). Planning an adventure together can add to your excitement, as well as lessen the anxiety if planning something on your own stresses you out. And you may be pleasantly surprised by what you discover about what your partner would enjoy doing. Valentine’s Day really can be fun. If you can think of February 14 less as a social obligation and more as an opportunity to celebrate, you might find yourself enjoying the holiday more. 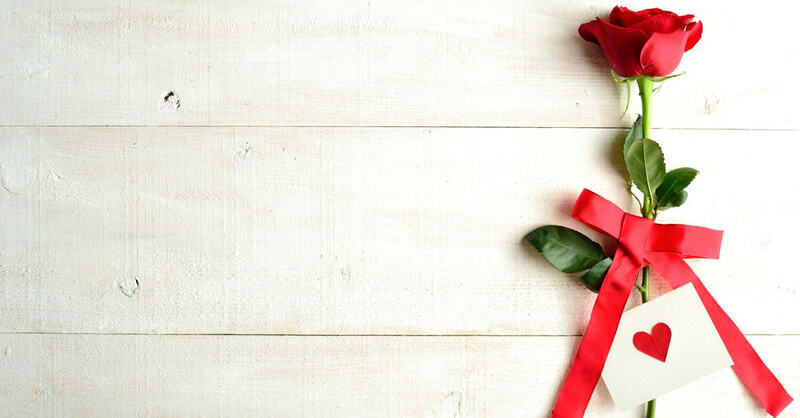 Valentine’s Day is often framed as a time to measure up to social expectations, and assumptions about what you should or shouldn’t do can hinder your enjoyment. But your relationship has its own style; look at Valentine’s Day as a time to appreciate what works so well between you, and figuring out the right plans for the day will come more naturally. You may want to inspire passion with candles and fine wine, or you could lighten things up by doing something silly. You could also use the time to do something you’ve both been meaning to get around to but haven’t had the time for, like catching up on a favourite show or going out to a new themed restaurant. And contrary to the stereotypes surrounding Valentine’s Day, the VIP treatment need not be limited to women. Valentine’s Day is a great time to make each other feel important. Valentine’s Day also doesn’t have to be about tangible gifts. While mementos can be lovely reminders of affection, experiences that create positive memories can be just as worthwhile. Valentine’s Day is both a recognition of the value of the time you’ve shared thus far and an opportunity to create new memories. Valentine’s Day can be about more than just the two of you. Romantic partners aren’t the only ones you can share the love with. A message to a friend or family member could brighten their day and reinforce the importance of all your social ties. There’s lots of love to go around. As for your Valentine’s Day itinerary, why not make it a party? A night out together could include other couples you’re friends with. Whether you spend the night in a club, a limo, or taking a walk along the waterfront, celebrating love with a group of people you care about could be a great way to change things up. Ultimately, your relationship is about the connection you have built together, not what other people think you should want or need. A happy relationship has its own special quirks, and so can the celebration of it. We can help you make the day special. Renting a limo, whether as transportation to your destination or as a journey in its own right, could add that extra spice your Valentine’s Day plans need. When in Chicago, trust the experts at Echo Limousine. We ensure you get to each destination; rested, relaxed and ready. We are the best-rated limo service company in Chicago, and for good reason. We have the most competitive rates, high-quality cars and professional drivers to serve you. Click here to book the limo of your choice.